The perfect place if any of your school pupils or hospital patients are feeling a little under the weather. 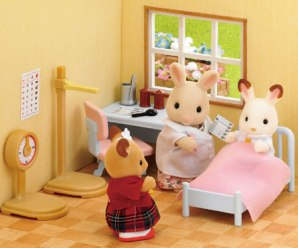 The Medical Room comes with everything you could need for nursing a poorly Sylvanian pack to health. Includes white coat for school nurse, bed, desk, chair and weight/height measuring apparatus.